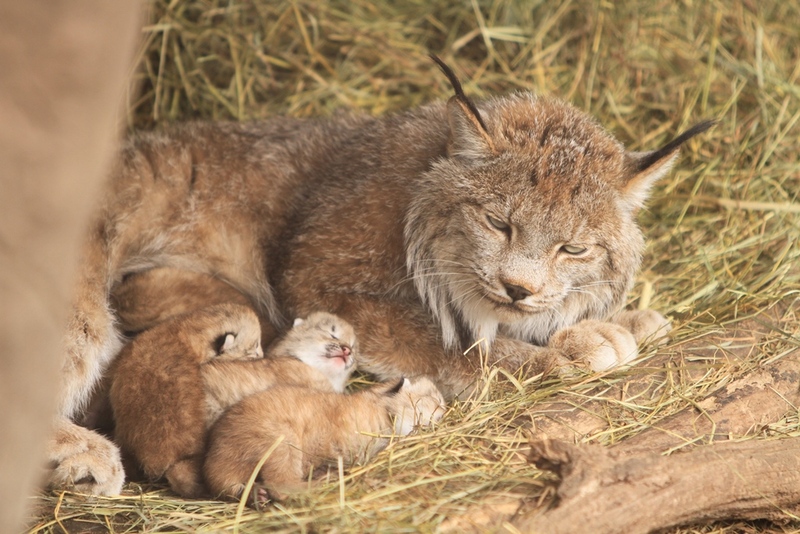 All together now, “Awwww….” The Minnesota Zoo is excited to announce the addition of four [adorable] Canada lynx kittens, born on Tuesday, May 6 along the Medtronic Minnesota Trail! They are currently being cared for by their mom behind the scenes and will more than likely make a public debut in August 2014, when they are active and strong enough to navigate their habitat! All four kittens were born overnight (May 6, 2014) on-exhibit and zookeepers confirmed they were all doing well the next morning. 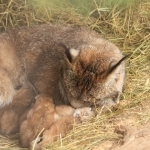 If you came to visit the Minnesota Zoo during the week of May 5, you may have noticed a covering over the lynx exhibit. This was to keep the new mom from becoming overly stressed and help ensure she would continue to take great care of her newborns. 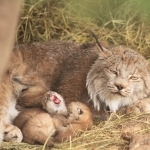 Since then, the female lynx relocated her kittens to a nesting box behind-the-scenes, but not before zoo-staffers were able to grab a few adorable photos and video of the new family unit. 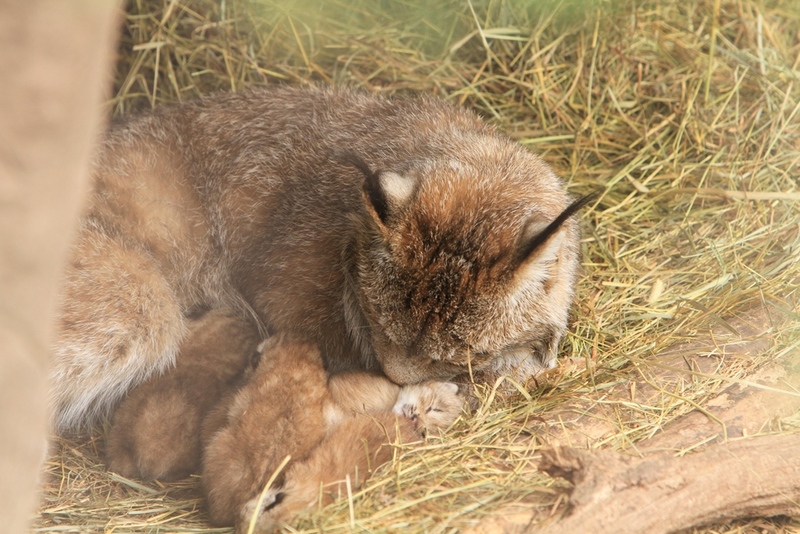 These births mark the third litter (totaling seven offspring) in five years here at the Minnesota Zoo! 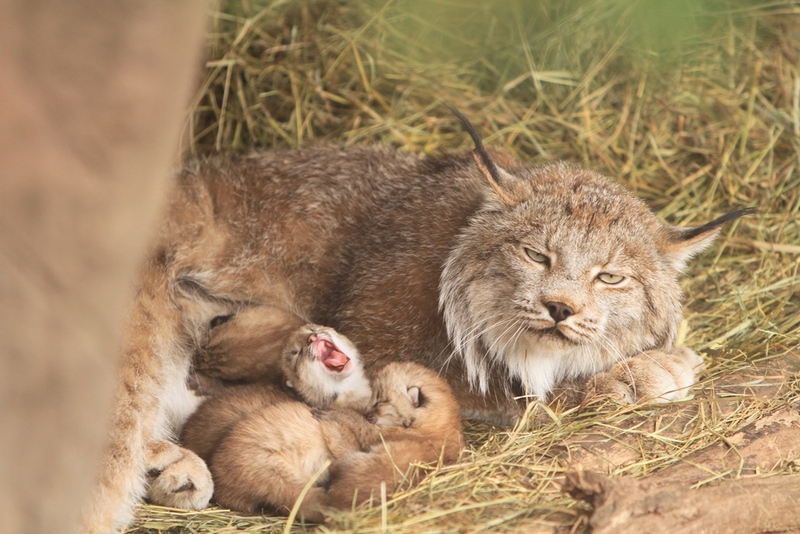 During the coming months, we will provide periodic updates on our latest lynx kittens and we look forward to their public debut later this summer. In the meantime, both the adult male and female lynx will have access to their habitat so you can come meet the new parents, if they are out. 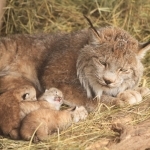 Learn more about the Canada lynx on our here.